The aeroSling ELITE Plus leaves nothing to be desired. It unites all high-end components of the aeroSling portfolio in one device and provides maximum variability with simple handling. In comparison to the aeroSling ELITE it offers an even more dynamic deflection pulley (Ultra Pulley) for an even more effective and challenging training. The aeroSling ELITE Plus is the gold standard. It is optimized for a multi-variant and intensive sling training experience. It offers everything that makes sling training so effective and gives you various workouts for a long time. The ball bearing Ultra Pulley lets the main rope rotate/alternate extremely smoothly. This increase in instability makes the aeroSling ELITE Plus even more challenging than its ‚little brother‘, the aeroSling ELITE. The deeper lying musculature and the interplay between individual muscle groups (inter-muscular coordination) is involved even more in every single exercise. 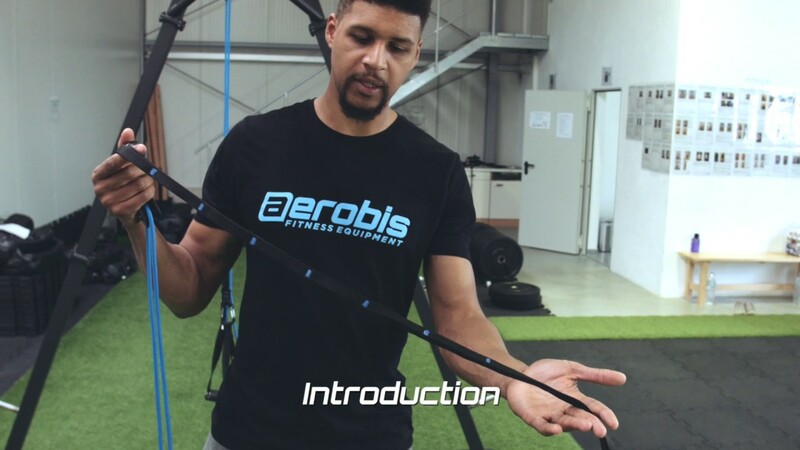 The aeroSling ELITE Plus is aimed at experienced sling trainer users or those that already have sufficient experience with bodyweight training. In addition to the rubber-coated handles in gym quality, the aeroSling ELITE Plus comes with adjustable foot straps that lend support for your feet and shanks. This 2-in-1 solution is not only very comfortable for core or leg exercises but also very convenient. Of course, you can also connect aeroSling accessories due to the modular build up and let your creativity flow. This makes the aeroSling ELITE Plus arguably the most versatile sling trainer. The ELITE Plus also comes in two sets. The Set PRO contains the Mount wall/ceiling mount and the Flex Handle XL, a padded strap for your hip or thigh. This will expand your already huge arsenal of sling training exercises even further. The Set TOP is the ultimate sling trainer bundle because in addition to the accessories included in the Set PRO it also contains two Flex Handles and a Power Spring. The Power Spring will add another dimension of instability to certain exercises while making other exercises more joint-friendly by absorbing sudden bursts of energy.